Congratulations! Florida gets an A! 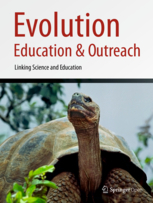 A paper in the latest edition of Evolution: Education and Outreach examines how each state’s middle school science standards cover evolution (A state-by-state comparison of middle school science standards on evolution in the United States). The standards were judged in five categories: Is the term “evolution” used; Is the concept of evolution clearly defined; Multiple lines of evidence for evolution are presented; Natural selection is Mentioned and Defined; Adaptation is Mentioned and Defined. Florida maxed out the points available in every category, earning an A grade. Many other states that got A’s did so because they had adopted the national Next Generation Science Standards or used those standards to help craft their own. Florida was noted as one of only six states that didn’t use NGSS and yet still got an A. You can access the Florida standards here. The two states with the most unique and teacher-accessible standards and resources are Florida and Pennsylvania. Teachers can set search parameters when entering the site- for example, “seventh grade” and “natural selection.” The search will lead directly to the specific standards that need to be addressed and a very valuable list of ready-to-go lessons, videos, and lab activities. Both sites also have links to online websites such as PBS for additional classroom resources. Teachers can put together targeted lesson plans around the state standards since the creators of the state standard websites have done the legwork for them. We have mentioned that good standards do not necessarily translate into good classroom teaching. Offering teachers valuable lessons based on the state science standards is a productive way to help ensure that the standards make their way into a teacher’s daily lesson plans. Any way a state’s department of education facilitates the process from translating the standards document into actual classroom practice is helpful. The author is Bertha Vazquez from The Teacher Institute for Evolutionary Science (TIES) and “has been teaching middle school science in Miami-Dade County Public Schools for 24 years. She has BA in Biology from the University of Miami and a Master’s in Science Education from Florida International University.” She also wrote a column for the Palm Beach Post July 13 about Florida’s new instructional materials law: New curriculum-challenge law hides non-science agenda.